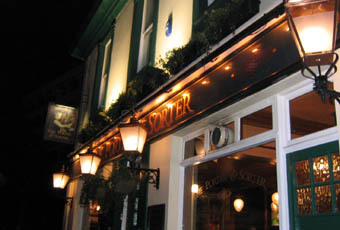 The Porter and Sorter is the closest pub to East Croydon station and is usually fairly busy, especially at 5-6 pm with the after work crowd. I think it got its name because it is close to the old royal mail depot. 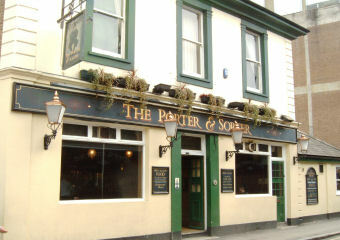 It is a Marstons pub and the beer quality is usually ok, but I have had the odd dodgy pint. The pub seems to concentrate more on the food side. The staff are rushed off their feet. The beer used to be decent but the pint of Pedigree tonight was flat and unpleasant. I got it replaced and the second pint wasn't flat but still tasted of soap. Barman didn't even taste it when I complained. And for a blackcurrant and lemonade - £3.80 because I was charged £1.20 for the blackcurrant cordial. Not surprisingly at 9:30 in the evening it was pretty deserted. Most beautiful bar staff in London! Went there quite recently on a Friday and was annoyed buy the attitude of the bar staff. I went to the bar and asked for a pint of Marston's oyster stout and the lad behind the bar said it was of without an apology, and seemed to be irritated that I didn't here him first time. I then went for the Marston's Pedigree and after one sip found it to be bottom of the barrel and warm. I told him it was warm and yet again he displayed his abysmal attitude buy saying I have just poured it, and looked at me as if I was deluded. The little s*** didn't even offer me a new pint and or apologise. So I drank the warm pint and left the place annoyed. I know of other people who have had a similar experience in the P and S. Until the manager there get's a grip buy sacking the bar staff and getting some in that understand the concept of customer service I shall not be returning. Ok of a weekend and outside commuting hours....basically a station boozer. Graham could do with loosing the aggressive rude attitude i.e. opening line to serving...YES!! as opposed to hello, what can I get you?